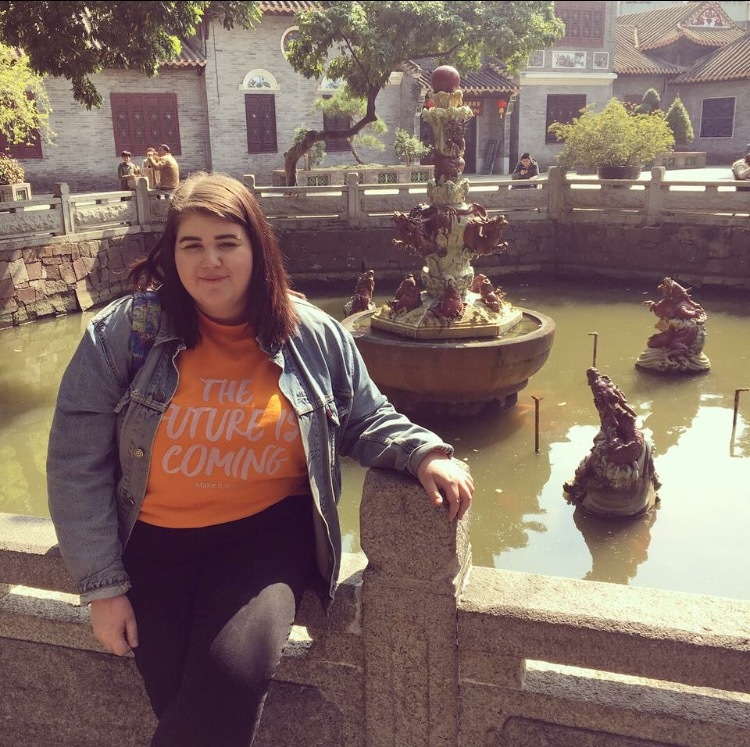 I never thought China would be on my list of destinations that I would get the opportunity to visit, but after my best friend Bee moved there last August I could not pass up the chance to go visit and experience some of the Chinese culture. After months of planning and seeing how complicated and pricey the Chinese visa can be for U.K. Citizens, we decided to only spend a couple of days here before heading onto our next destination. This meant that I could apply for the free 72 hour visa exemption. This is quite a confusing process, so if you would like anymore information about the exemption process please feel free to drop me a message. But finally after 3 hours in customs I was granted my visa exemption and I was on my way to explore! My friend is an English teacher, and lives on the school premises which is where we were staying. It was pretty cool to see what school life was like for Chinese students and experience living in a Chinese apartment. On our first day we headed into Guangzhou city for a bit of sightseeing and shopping. I was so amazed by how built up the city was, not how I imagined this area of China to be like. It is incredibly modernised and everything is just huge. We also stopped for the most AMAZING food on the way, consisting of dumplings and noodles. Trust me the dumplings were so good! After walking around the shopping malls for a couple of hours, we headed to a beauty salon to get our nails done, went for even more food, consisting of sweet and sour chicken, and ended up in one of the local bars. One thing I learnt whilst being in China is that the food portions are HUGE. Chinese people see meals as a social event and often buy a number of dishes, spending hours at the dinner table talking, doing business together and eating food. Unfortunately my appetite could not handle the portion size. On our flight back from Vietnam we’d met the loveliest Chinese family who had suggested that they take us out for breakfast. So the next day we decided to meet up with the mother Spring and her 4 year old daughter Coco. They took us for a Chinese breakfast at the most amazing hotel. Although I’m a fussy eater I did attempt to try as many dishes as possible, but had to reject the offer to try chicken feet haha. (Well done Bee for trying them). We sat for hours chatting and drinking tea before eventually heading off to a local botanical garden. These were beautiful! Full of history and culture, I felt like I was really living like a local. The areas we visited are not very touristy at all, so the locals were very interested to see us. Over breakfast, Spring had asked us if we had ever been for a Chinese massage, so we jumped at the chance when she offered to take us for one and we headed to the most beautiful spa. Now I love a massage, but I must admit this one was incredibly painful, and it did not help that there was a language barrier to ask her to go softer. Needless to say I was in pain for a good couple of days after that. Spring told us that Chinese women head to the spa at least once a week as they believe it keeps them cleansed. After the spa, Spring took us for hot pot- a popular Chinese dish where you choose a selection of vegetables and meats and cook the meal in the middle of the table yourself by throwing it all in to a pan of oil. This was delicious. On our final day in China I was desperate to go see some pandas so we headed to Chimelong Safari Park. I was so excited! At the safari we got to see flamingos and monkeys and elephants and giraffes and of course the pandas! We had such a fun day seeing all the animals and riding around on cable cars. I became a little panda obsessed that day and was even lucky enough to see the panda triplets! There is only about 3 places in China where you can go to see pandas, so I felt very lucky that the safari park was not far from where we were staying. If you’re in the area it is something I would definitely recommend. China is such a wonderful place, modern yet full of history and culture. I felt very privileged to get to spend time and speak to local people, and I learnt so much about life in China which fascinated me. Whilst the visa can be quite pricey, it should certainly be on your bucket list as a place to visit this year! So cool to see a different perspective! I had no idea about the food proportions, but I love to eat so it sounds like I need to go there lol! This looks like the trip of a lifetime! You managed to do so much during such a short stay. It’s very cool that you connected with Spring on the flight, and even cooler that she took you to breakfast. Having such an authentic experience would have totally been the highlight for me.